Nestlé Group's infant nutrition brand Gerber announced it will launch new healthy snacks and dozens of packaged puree products to sustain growing local demand. Nestlé Group's infant nutrition brand Gerber announced it will launch new healthy snacks and dozens of packaged puree products this year in a bid to satisfy Chinese consumers' growing demands for high quality. Selected Gerber products, including organic crunchies and packaged puree products containing avocado and kale, will be launched through NetEase' cross border shopping site Kaola. These products have been certified by the US Department of Agriculture (USDA) as organic and aim to meet the safety demands of Chinese consumers nowadays. Gerber has been actively exploring the development of the Chinese market and has leveraged the booming cross-border e-commerce market to access China's mom and baby sector. At the beginning of 2018, Nestlé Group set up its Cross-border E-commerce Business Unit, and besides Gerber, other Nestlé Nutrition brands such as Guigoz from France and Germany's BEBA will be gradually introduced to China through these channels. 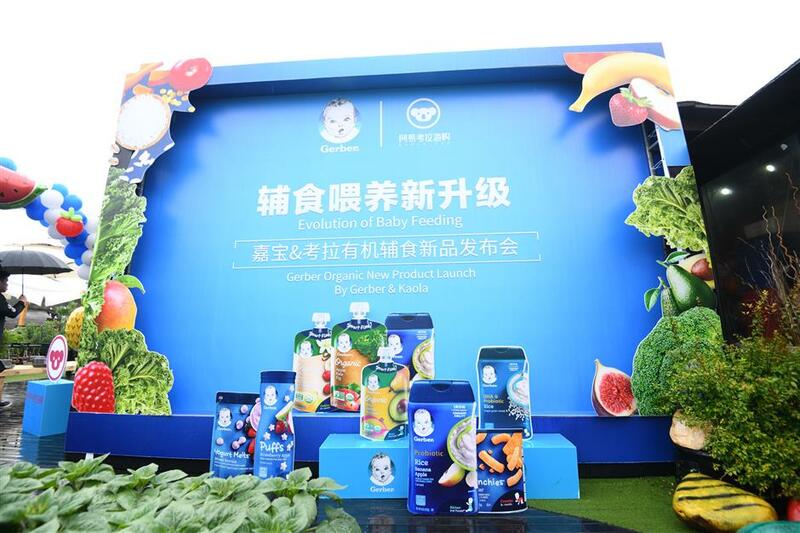 "After market cultivation and user education in recent years, online sales of China’s complementary baby food category has entered a double-digit development phase, and cross-border e-commerce channels also became an important boost for online sales of complementary baby food," said David Zhang, SVP of cross-border e-commerce business at Nestlé Nutrition. The acceptance and consumption level of complementary food subcategories such as fruit and vegetable puree is still far below the mature markets of Europe and America, Zhang added. They hope to grow the market through continuous consumer education and penetration into more diversified channels. Nestlé is also a participant of the first China International Import Expo in November, an event which is part of China’s pledge to continue to deepen reform and opening-up.